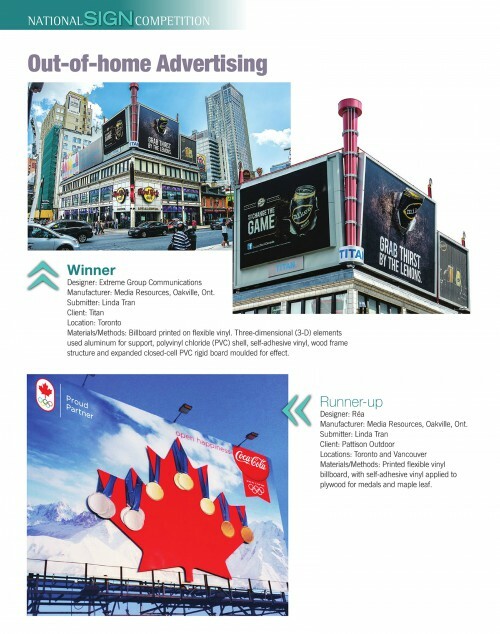 Media Resources is the winner and runner up for Sign Media’s competition for the Out-of-Home Advertising category. The winning entry is a custom fabrication of Mike’s Hard Lemonade drink can that was installed in the summer of 2013 along Yonge Street in Toronto. The runner-up entry is a 3D billboard of the Olympic medal standings for the Sochi Games that was on display in Toronto and Vancouver.